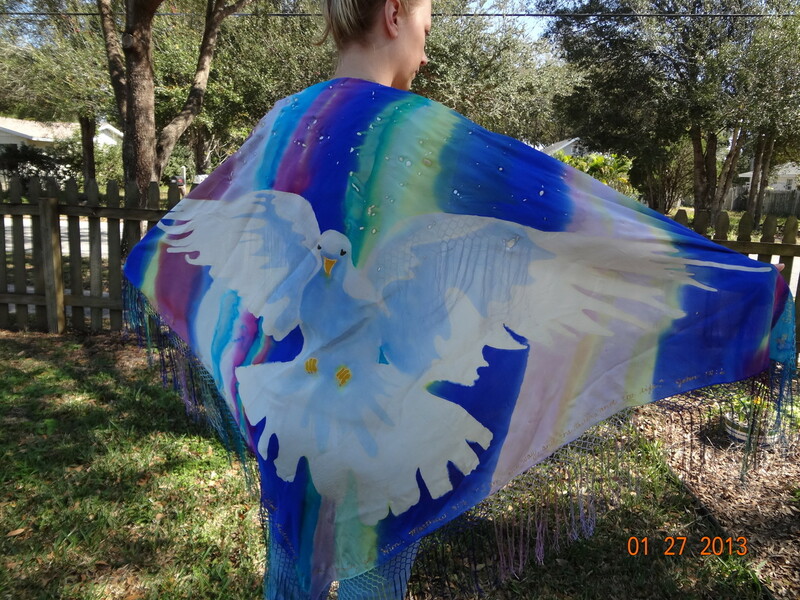 Holy Spirit Dove Prayer Shawl - 3 Strand Cord Silks - Glowing Silk Flags & Billows based on the Bible, Jesus and His Church, to enhance your worship of God! 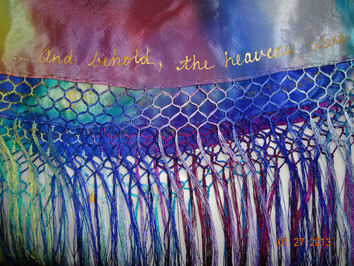 One of the most delicate, beautiful designs I have created ~ this Holy Spirit Dove Prayer Shawl is as delicate as a dream! Heavenly White Dove descends from a delicately dyed multi-colored sky. Shawl is pure silk, about 45 x 45", not including 7" fringe all around. Scriptures written above the fringe all around, in gold. Colors vary with every shawl.